The Sunday Times / Peters Fraser + Dunlop Young Writer of the Year Award has announced a new partnership with the University of Warwick for 2017 as we look to broaden the award’s platform for supporting and nurturing the country’s young writing talent. 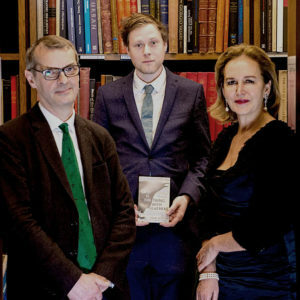 The news was announced at the ceremony for The Sunday Times / Peters Fraser + Dunlop Young Writer of the Year Award 2016, which was awarded to Max Porter for Grief is the Thing with Feathers. From 2017, the award will be run in association with the University of Warwick, who will amplify the partnership by offering a bespoke 10-week residency for the award’s winner, run a day festival of events, and provide a year-round programme of on-campus and digital support for award alumni and the year’s shortlist. Together, the three partners – The Sunday Times, Peters Fraser + Dunlop, and The University of Warwick – aim to give real and substantive support to young writing talent in Britain and Ireland. 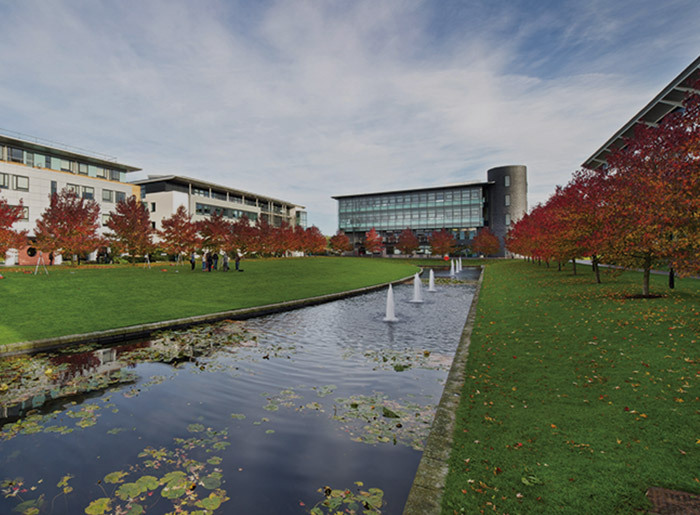 The University of Warwick is home to the acclaimed Warwick Writing Programme, the largest and most comprehensive of its kind in Europe, which is currently home to renowned authors such as: Will Eaves, Maureen Freely, Michael Hulse, A.L.Kennedy, Tim Leach, David Morley, Sarah Moss, Ian Sansom, Jonathan Skinner, and David Vann. Stuart Croft, vice chancellor of the University of Warwick, said: “We are thrilled to announce our new partnership with The Sunday Times / Peters Fraser + Dunlop Young Writer of the Year Award. This year the University of Warwick was named a national ‘centre for excellence’ in the field of Creative Writing by the Sunday Times in the latest Good University Guide. Approximately 1,000 UK and EU applicants apply every year, making Creative Writing at Warwick one of the most popular arts degree courses in Europe. The course also attracts many young writers from the Americas, China, Singapore, India and Africa. Warwick’s Creative Writing students win prizes in international writing competitions and are published in major journals. Seven students have won an Eric Gregory Award for a collection by poets under the age of 30 from The Society of Authors. Past winners of this award include Seamus Heaney, Ted Hughes and Jackie Kay. Last year, two graduates won the Costa Award for Poetry and The Carnegie Medal. Peters Fraser + Dunlop, the Sunday Times / Peters Fraser + Dunlop Young Writer of the Year Award is awarded annually to the best work of published or self-published fiction, non-fiction or poetry by a British or Irish author aged between 18 and 35, and has gained attention and acclaim across the publishing industry and press. £5,000 is given to the overall winner and £500 to each of the three runners-up. Since it began in 1991, the award has had a striking impact, boasting a stellar list of alumni that have gone on to become leading lights of contemporary literature. The 2016 Award was presented to Max Porter for his extraordinary debut, Grief Is The Thing With Feathers. Following a five-year break, the prestigious award returned with a bang in 2015, awarding debut poet Sarah Howe the top prize for her phenomenal first collection, Loop of Jade. Other past winners are: Ross Raisin, God’s Own Country (2009); Adam Foulds, The Truth About These Strange Times (2008); Naomi Alderman, Disobedience (2007), Robert Macfarlane, Mountains of the Mind: a History of a Fascination (2004); William Fiennes, The Snow Geese (2003); Zadie Smith, White Teeth (2001); Sarah Waters, Affinity (2000); Paul Farley, The Boy from the Chemist is Here to See You (1999); Patrick French, Liberty or Death: India’s Journey to Independence and Division (1998); Francis Spufford, I May Be Some Time: Ice and the English Imagination (1997); Katherine Pierpoint, Truffle Beds (1996); Andrew Cowan, Pig (1995); William Dalrymple, City of Djinns: A Year in Delhi (1994); Simon Armitage, Kid (1993); Caryl Phillips, Cambridge (1992); and Helen Simpson, Four Bare Legs in a Bed and Other Stories (1991).